MSFT stock was edging up Thursday in anticipation of good news when the company reports earnings after the market close. But unless Microsoft Corp. (Nasdaq: MSFT) has a really nasty surprise in store, it's a buy even if it doesn't post a strong beat. That's because Microsoft has worked hard on its transition away from its legacy PC business to capitalize on two major areas of growth. The Q2 MSFT earnings were in line with Wall Street expectations on earnings and beat slightly on revenue. 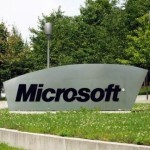 The Q2 Microsoft earnings are expected after the market close Monday. Investors will be looking to see if Microsoft Corp. (Nasdaq: MSFT) can maintain the momentum from its Q1 earnings. In its previous earnings, the Redmond, Wash.-based tech giant beat estimates on both the top and bottom lines. The Q2 MSFT earnings will tell us if new CEO Satya Nadella's strategies are working as intended. They'll also give us a hint of what we can expect in 2015.